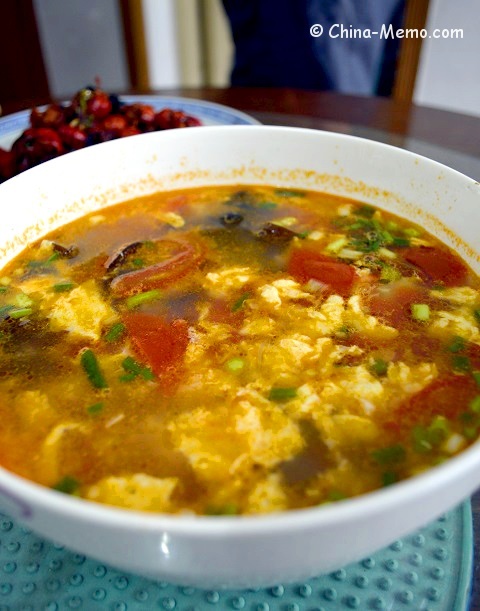 This Chinese egg tomato soup is a very common homemade dish in our daily meals, tasty, nutritious and easy to make. It is a perfect choice for a quick meal. 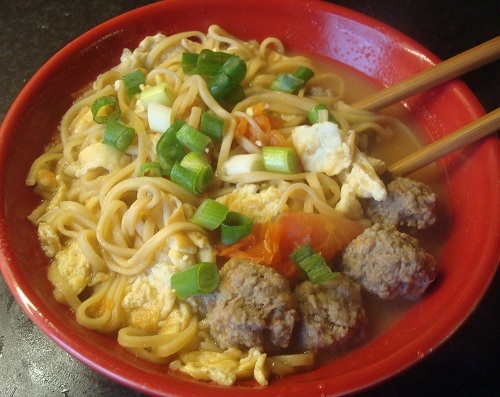 Here are two quick and easy ways to use microwave oven to cook eggs by using some Chinese ingredients. They are simple, healthy and tasty. 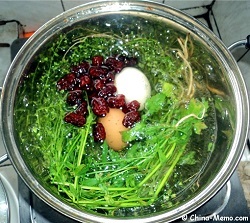 How we make the easy and tasty Chinese Egg Veggie dishes at home? Here I share with you some tips and ideas, including two cooking videos too. 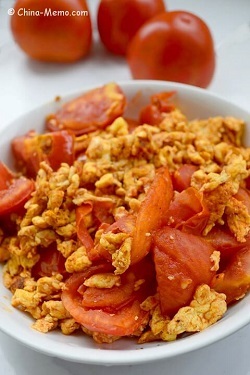 Healthy and easy to make. 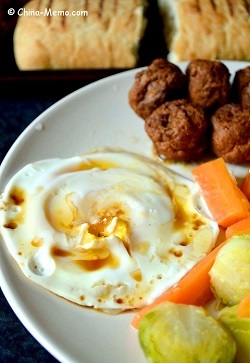 It is perfect when you don't have time to cook but still want a fresh and tasty meal. A very typical Chinese family dish. Tender and fluffy fried eggs, mixed with the sweet acidity of the succulent tomatoes, plus the flavour of garlic and spring onion. 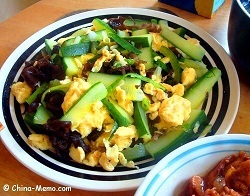 If you love egg and vegetables, check this Chinese egg fried chive recipe. 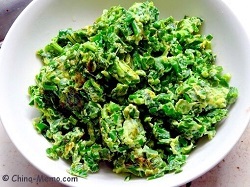 It is simple but maybe a good idea for a new tasty dish. 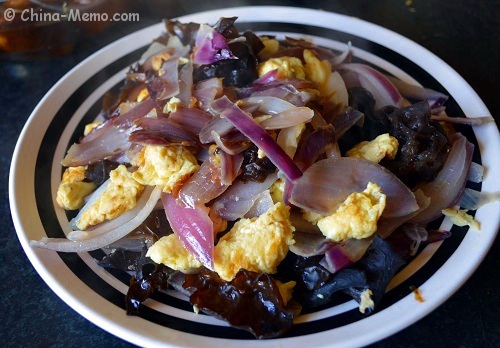 This egg fried onion is a very common Chinese home cooking dish, nothing too fanciful, but simple, easy and tasty. 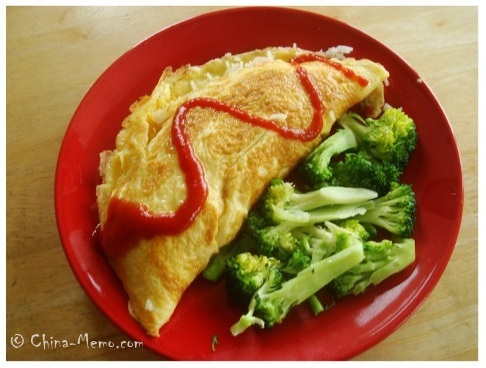 Love omelette? 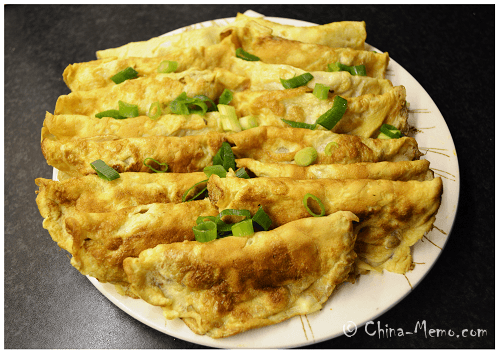 Why not try this easy Chinese omelette, fluffy egg with prawn and fried rice, Dan Bao Fan. 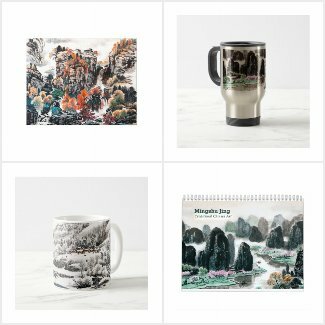 Really a fun and easy to make. 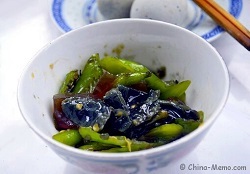 Chinese Century Egg, called Pi Dan 皮蛋 or Song Hua Dan 松花蛋 in Chinese, is a very common food in Chinese daily eating. 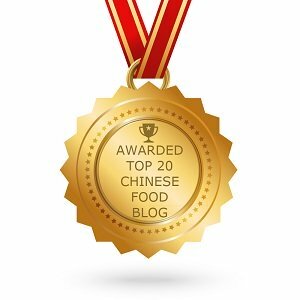 In this post I show you how we eat century egg at home. 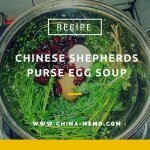 Having a Chinese Shepherds Purse egg soup is a folk custom on the third of March in Chinese Lunar calendar. It is a healthy homemade soup with a lovely earthy smell.